In the early days of June, 2017, a recent wave of over 770 tremors in upwards of 4 magnitudes centered around Yellowstone raises the fear of the threat of a Mega-Super-volcano in the heartland of America. There has long been a scientific premise that when the “Big Quake” erupts it will destroy the core of the United States of America, the home of the largest number of the Jews in the Diaspora but also the Lost Ten Tribes of the House of Israel in the world. There is no doubt in the eyes of the national seismologists say that this event will happen. This week it may be the foretaste that such a catastrophe could “hit sooner rather than later”. In the land of Israel several rabbinic sages are suggesting that the terrifying prediction of such an event occurring in the remolding of Planet Earth into a new Garden of Eden, may not be as catastrophic as the scientists think, for it may occur during the merging of the Meta-Forces of the Messiah son of Joseph and the Messiah son of David merge into a universal force called the Melekh Ha Maschiach. Today, Yellowstone Park attracts thousands of tourists who come to witness God’s creation, but the enormous crater, in all its beauty, is not only testimony to His creative majesty but also a testimony to Hashem’s destructive anger as well such as occurred in the Great Flood of Noah. In the center of the park is a caldera crater that competes with the amazing Grand Canyon further to the west in Arizona which scientists postulate is the product of “17 million years of patient aquatic erosion”. These supposed scientific observations were refuted fully with the international debate in the scientific community at the 15th International Sedimentological Congress when the ardent Creationist Dr. Art Chadwick and E. Kennedy at Southwestern Adventist University in 1998 documented that the deep-water deposition of the Tapeats Sandstone in the Grand Canyon did not occur in millenniums but in catastrophic “months and years” such as in the Great Flood of Noah. At the same time, the “centerpiece” of the equally amazing Yellowstone Park is a 40-mile wide caldera crater, which occurred by a sudden cataclysmic geologic explosion, “short term geology” according to scientists 630,000 years ago, as compared and opposed to “biblical catastrophists” who scientifically can prove occurred during the age of mankind; now according to the Seder Olam Rabbah, written by Yose ben Halafta, about 160 CE concerning the history of mankind since the Creation of Mankind, Adam and Eve in the Garden of Eden has been less than 5,777 years Recent seismic activity suggests this tranquil natural refuge may be ready to revert to its violent and catastrophic past. It was in 1985 that Yellowstone experienced 1,000 to 3,000 earthquakes a year with 40-50% of them occurring in earthquake swarms. As of June 17, of this year, the caldera was already experiencing 1,000 to 3,000 earthquakes a year — with 40 to 50 percent of them happening in swarms. The quake activity is caused by the large number of faults in the park associated with the volcano that underlies Yellowstone. It was a year ago, that Yellowstone began rumbling in its sleep as rumbled in its sleep, with three quakes ranging from 3.7 to 4.3 magnitude on the Richter scale. Last week Yellowstone rumbled again, but with greater intensity. On Thursday evening, a 4.5 magnitude earthquake shook the region, the epicenter approximately eight miles northeast of Western Yellowstone in Montana. The next morning, three more quakes measuring 2.8 on the Richter scale hit in the same area. On Monday, a series of 30 more tremors shook the area. In total, there were over 200 quakes in four days. Just a few days prior to the wave of earthquakes, Rabbi Nir Ben Artzi, an Israeli kabbalist noted for his accurate predictions, warned that earthquakes are about to become more common in the world. He made an analogy between natural disasters and current global politics. Later, it was Rabbi Yosef Berger, the rabbi of King David’s Tomb on Mount Zion, who make the following the observations. As Rabbi Berger noted that disasters, natural and manmade, seem to be striking faster and harder than in previous generations. Today, the signs of seismic activity are beginning to simmer and become more explosive. Debunking the recent “climate change” hoax, where it was purported that “Global Warming” came from “above” but in reality, the oceans of the earth are getting warmer from “below”. This is caused as the iron magnetic core of the earth is churning with greater and greater intensity. The magma is swelling upwards towards the mantle of the earth erupting into volcanoes under the oceans. In this instance, the mantle of the earth is lifting upwards with explosive and hot volcanism while raising up the deep 10,000 foot trenches of the Pacific and other oceans upwards. 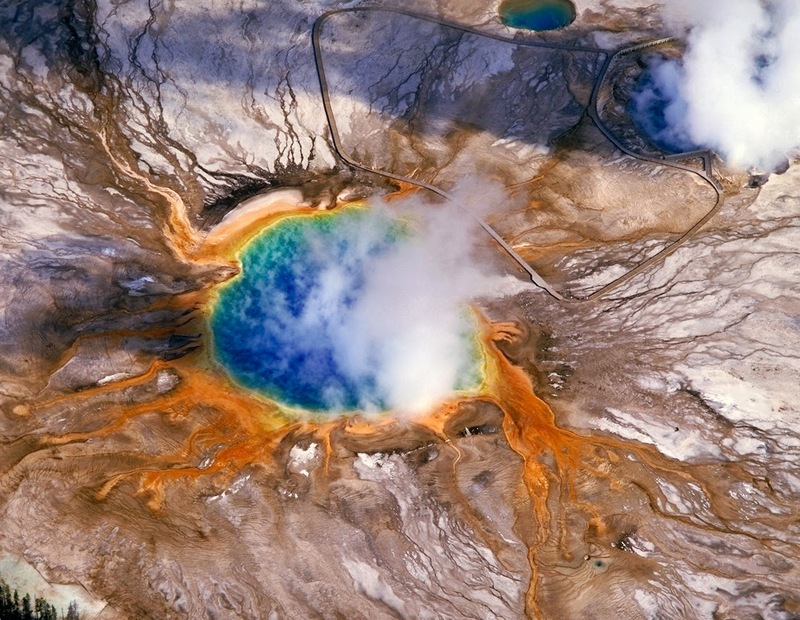 Yet so far, Yellowstone Park caldera did not explode into a massive volcano with the classic volcanic cone. Instead Super-Volcanoes like Yellowstone create a massive hole, in this case a 3,500 square-mile crater. It was only a month-ago that the Shoshone River flowing nearby started boiling. The water of the Shoshone changed colors and rancid sulfuric odor contaminated the air, not seen in over 200 years. Historically, this sight of boiling water and sulfuric smell no doubt like was seen in the mega-catastrophe in the Veil of Siddim when the angels of Hashem destroyed Sodom and Gomorrah. These recent volcanic rumblings are only considered small tremors and are common. In the last few days, Yellowstone was struck by a series of relatively large tremors. On June 9, a magnitude 3.7 earthquake hit the region, on June 13 there was a magnitude 4.3 earthquake, and on June 15, an earthquake with a magnitude of 4.0. Though most people associate seismic calamity with the California and the Pacific Crescent of Fire, Yellowstone sits on what scientists consider the single most dangerous volcanic site in the world. A major eruption at Yellowstone would bring on global disaster. The present scientific opinion is that such an eruption happening at one of the major volcanoes within 80 years is put at five to ten per cent by the experts, and Yellowstone could very well be it. A super-volcano at Yellowstone has the potential to spew more than 240 cubic miles of magma across Montana, Idaho and Wyoming, more than 1,100 times the magma that flowed from Mount Saint Helens in 1980, killing 57 people. 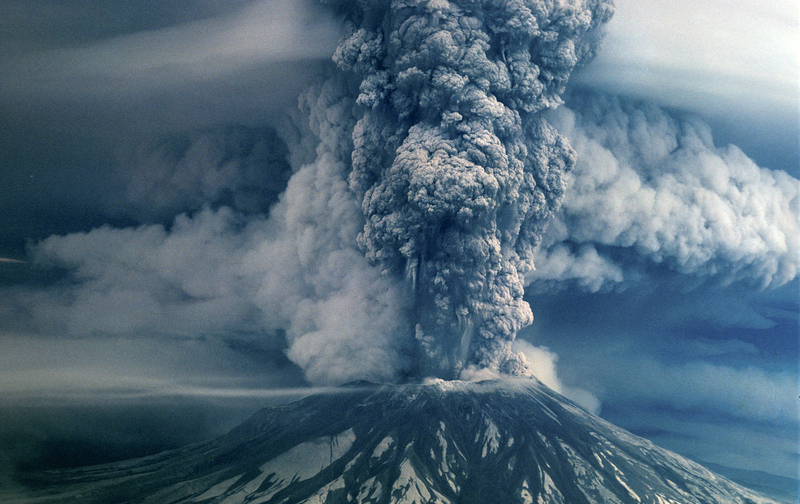 Experts estimate that a Yellowstone eruption would kill 87,000 people instantaneously. A catastrophic eruption in Yellowstone would immediately threaten people in the heartland of America, but the more devastating effects would be felt across the entire country and perhaps even the world. A layer of ash would cover the entire US and southern Canada, causing damage and preventing air travel. Europe experienced this in 2010, when relatively small eruptions at Eyjafjallajökull, Iceland led to 20 countries closing their airspace to commercial jet traffic, affecting about 10 million travelers. When the G-d of Israel in His Divine “Acts of G-d” chooses to cleanse Mother Earth and restore her back to the idyllic era of Gan Eden (Garden of Eden) the remolding process will be by cataclysmic events such as Vulcanism, Asteroid impact, Fly-by of Earth’s Twin-Star Nibiru, while transferring His Chosen People into a 4th Dimensional Consciousness. These super-forces will be a part of that spiritual cleansing by the “Hand of the Divine”. Yet, such an eruption would be more than an inconvenience to visiting tourists vacationing in Yellowstone or its affects upon the herds of bison in the park. As correctly concluded by the research by the University of Utah researchers; they called this magma reserve under Yellowstone National Park, “one of the planet’s biggest time bombs” in earth’s history. Its affect upon the Lost Ten Tribes of the House of Israel today living in America would be astronomical. The population of the United States is represented today as the “Lost Sheep of the “Tribe of Manasseh”, who first colonized the Eastern Seaboard of the United Stated in the 16th to the 19th century. Their descendants who live today in continental United States will constitute a large percentage of the world’s population known as the “Lost Ten Tribes of the House of Israel” who were sent into exile into the lands to the east called “The Medes” in the region later called Khurasan; in Afghanistan, Pakistan, and ancient Persia by the Caspian and the Black Seas. It is estimated that in the total population of the world community today that the “Lost Tribers” may be as close to 2-3 billion inhabitantes of a total of 7.4 billion inhabitants upon Planet Earth today. These included the land of Khurasan, the ancient homeland of the “Medes and the Persians”. When the Almighty One G-d of Israel sent the “Lost Ten Tribes” into exile, they dwelled and impregnated the lands across Eurasia with their tainted image of the One G-d of Israel. This was part of their rebellion against G-d. They included those living in the Buddhist regions of Nepal and India to the Aryan tribes in India with Hinduism, the Zoroastrians in Persia, and the Pilgrims and Puritan Visigoths, Cathars, the Huguenots and the Waldensians that were slaughtered by the Roman Inquisition of the 17th century who became the 1st pioneers and colonists of the future United States of America. So again, their descendants today live in the regions from Khurasan in Afghanistan and Pakistan to the west across the Caspian and Black Seas below Eurasia, to the Scandinavian homelands of the Royal Viking Norsemen in the North, the Celtic and Cymric regions of Gaul in Northern Europe and the Isles of the West in Ireland, Scotland and ancient Britannia. They were the Visigoths and Vandals who toppled Rome four times when they invaded Gaul in Europe as the Gothic tribes. It would result in a massive mega-aliyah “return to the lands of their forefathers. There they will live on their tribal lands of their inheritance as the Lost Ten Tribes of the House of Israel. This new homeland will be in Shomron, Judea to the west of the Jordan and the tribal lands of Gad, Reuben, Simeon living again with their flocks in the lands to the east of the Jordan River after escaping a catastrophic cataclysmic holocaust. This global catastrophe could potentially create a new “ice age” or in the hands of the Holy One of Israel, the return to Gan Eden, the renewed “Garden of Eden” on Planet Earth as we develop into our 4th dimensional future. The rabbi explained that volcanoes are explicitly mentioned by the prophets as playing a role in the end of days, preparing the world by burning away impurities as a crucible is used in metallurgy to purify metal. He cited Zechariah as a source for this. Rabbi David Berger suggested a simple faith-based solution to cope with the threat. Will Iceland’s Volcano wreck our Global Climate as Famine encompasses our Globe? The World’s most Dangerous Volcanoes – and We thought the Eyjafjallajokull Volcano in Iceland was a Problem?